At Special Olympics, we talk about the athletes who embody the human spirit. During the past month, I was honored and fortunate to experience real-life examples. cookies to anyone who purchased ducks from Ela. 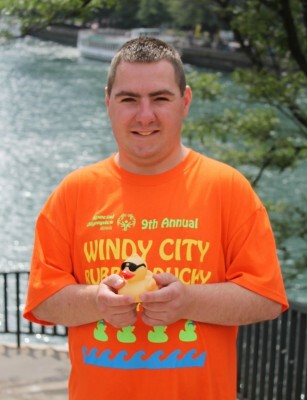 Nick spread the word and duck sales to Los Angeles, Calif., where he volunteered as a bus greeter for the 2015 Special Olympics World Summer Games July 25-Aug. 2. The Illinois delegation to World Games represented us so well – every member of the delegation medaled in their sport! Special Olympics athletes are very competitive and they want to win, but exhibit human spirit with their courage, sportsmanship and selfless attitude. 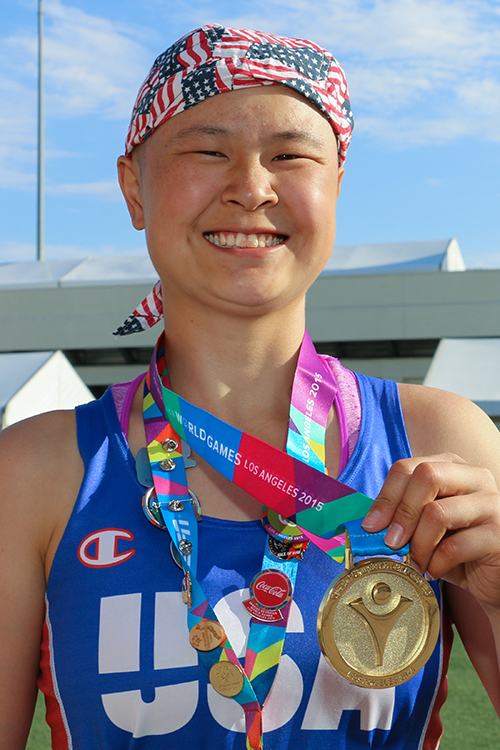 One incredible story at World Games was Olivia Quigley of Wisconsin. Battling Stage 4 breast cancer, she interrupted chemotherapy to attend the World Games. She was a multi-medal winner bringing home the gold in the 100-meter dash. On days she should have been in the dorm resting, she chose to be at the track to cheer on her teammates. Nick, Ela and Olivia define human spirit by measuring their wins and true competition by helping others, making everyone’s life around them so much better.